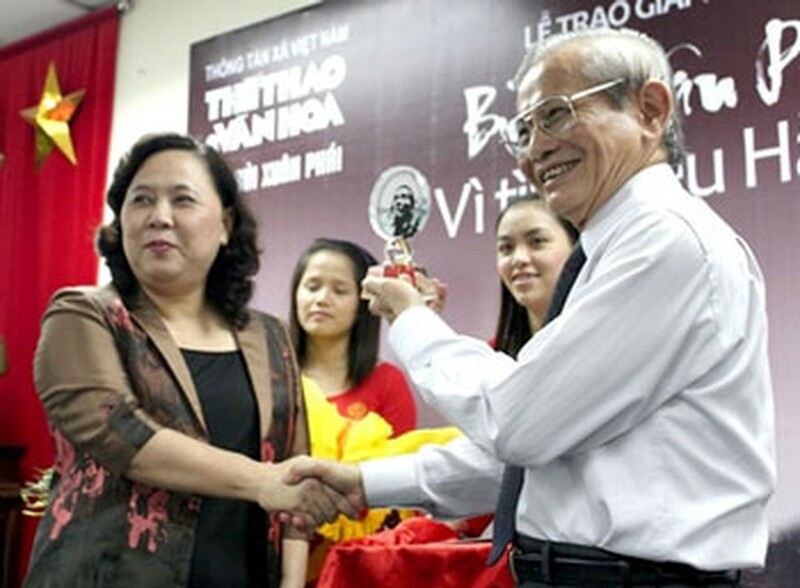 Historian and professor Phan Huy Le was honored for his great contributions to the city of Hanoi with the “Bui Xuan Phai- Love for Hanoi” award in the capital on August 31. The professor is one of the leading historians in the country. He has devoted all his life to historical research of the capital. He was the chief author of the document on the Thang Long Royal Citadel Site and made outstanding contributions on the Van Mieu doctoral steles that were subsequently submitted to UNESCO for recognition as world cultural heritage. Historian Phan Huy Le was also elected as foreign correspondent member of L'Academie des Inscriptions et Belles-Lettres (the Academy of Inscription and Beautiful Literature) in France in July this year. He became the first Vietnamese to receive the Asian Cultural Award Fukuoka from Japan in 1996. The “Bui Xuan Phai- Love for Hanoi” awards were also granted to painter Vuong Van Thao for his project titled “Live fossil” and a group of scientists for their treatment and protection of the legendary turtle in Ho Guom (Sword Lake). Established in 2008, the awards are named after painter Bui Xuan Phai (1920-1988), the founder of modern art in Vietnam. He is known for his paintings of Hanoi’s old quarter, landscapes and young woman. His works are displayed in several national and international museums. He received the highest national award, the Ho Chi Minh Prize, posthumously in 1996.